As the main island of the Canaries, Tenerife is full of life even as it embodies the merging of the old and the new. Up in the mountains, the region remains rustic but the rapid boost in tourism has led to bustling coastal areas. As such, Tenerife has become a melting pot for both culture and capitalism. It is not uncommon for many travelers to find ways to extend their stay with some making a home in Tenerife. For the locals, the influx of tourists became opportunities to generate income all year round. The warm temperature throughout the island of Tenerife is one of the reasons why many visitors return at any given time of the year. Due to its proximity, Tenerife and the Canaries is a prime destination for Europeans escaping the harsh winter season. Apart from its inviting climate, Tenerife is a hub of experiences. The accessibility of tours and activities ranging from water sports to mountain trekking allows guests to choose their own adventure. 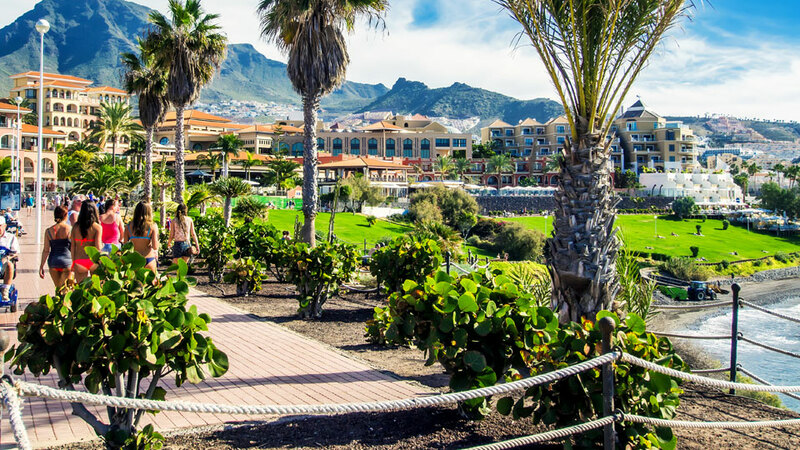 Way down South are the popular tourist havens – Costa Adeje, Las Americas, and Los Cristianos. These three towns feature sandy beaches with a variety of gold, white and black volcanic sands. This is also where guests would find some of the most luxurious hotels on the island, as well as family-friendly accommodations. The municipality of Adeje is also home to the famed Siam Park, dubbed as Europe’s best water park. Also on the Southern Coast is the sleepy fishing village of Las Galletas where the freshest seafood comes good prices. On the East, the town of El Medano has attracted a slew of windsurfers and kiteboarders for its waves. Travelers looking for authentic Canarian architecture can head to the photogenic town of Garachicos that overlooks the cold Atlantic waters. Guest go back in time while walking on the old cobblestone streets and passing by antique churches in this town. 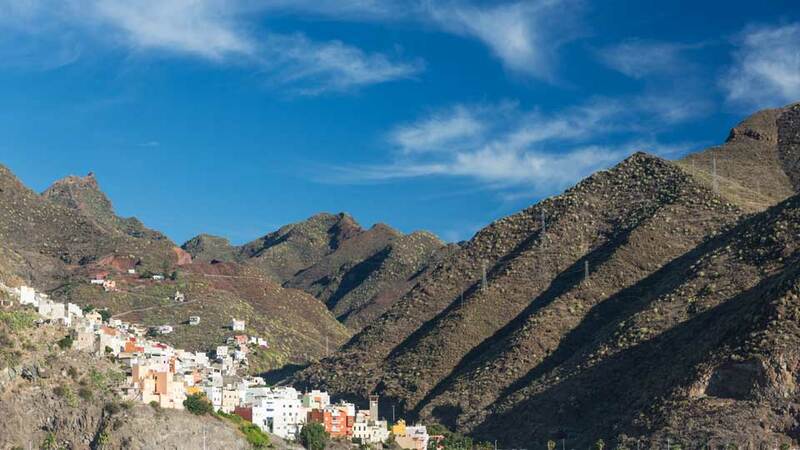 From there, travelers could also visit the picturesque Masca Valley. Further along is Europe’s largest underground lava tube, Cueva del Viento in the peaceful town of Icod de Los Vinos. The same town is also home to the millennia-old dragon tree and ARTlandya Doll Museum. On the same coast in the beautiful seaside town of Puerto de la Cruz, this is where almost all tourists come to visit Loro Parque, the top travel destination of the Canary Islands. 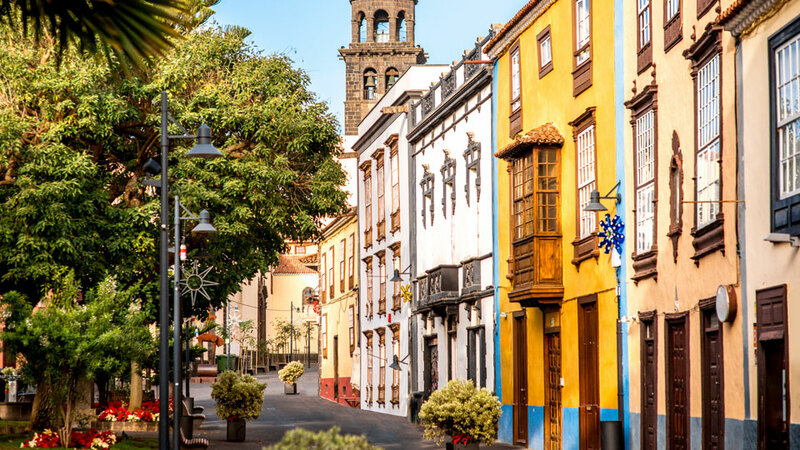 The capital, Santa Cruz de Tenerife is a busy city filled with gorgeous locations including the vintage Noria District, the significant Museo de la Naturaleza y el Hombre, the Tenerife Espacio de las Artes, and the Market of Our Lady of Africa. On the opposite coast, the historical town of La Laguna is a must-visit with its pastel-colored houses and green scenery. Just above, the Anaga Forests are perfect for nature lovers. At the very tip of Tenerife, the remote coast of Almaciga offers uncrowded breaks and clean waves for surfers. For those who want to soak up the sun, they’ll find the beach in La Teresitas in the north the ideal spot for swimming and sunbathing.